Have a question about the Genesis Surf Snorkel? 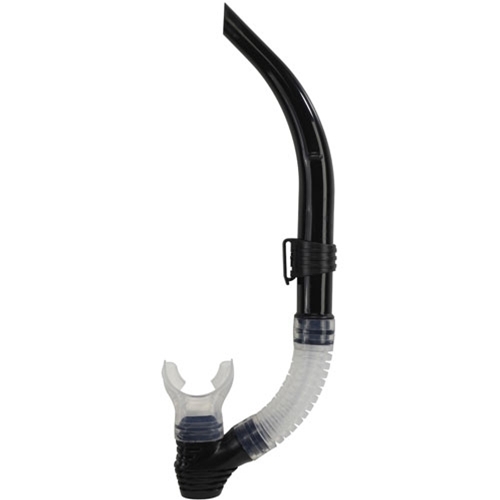 The Surf is an excellent flex tube snorkel for divers of any experience level. Contoured barrel reduces drag and water resistance. The surf has a clear silicone lower flex tube and mouthpiece. The angled mouthpiece fits comfortably in your mouth for hours of snorkeling fun. The mouthpiece is also replaceable and can be removed easily when replacement is necessary. The flexible lower tube makes the Surf perfect for scuba by automatically swinging out of the way when you are using your regulator.